Armed with rackets, tennis balls, ball machines and a lifetime of tennis knowledge, Bob Reed was ready for tennis camp. The Springfield High School coach, who also oversees tennis operations at Willamalane, took to Coiner Park last week where the courts were filled with 25 kids looking to hone their skills at the camp put on by South Valley Athletics. Campers ranged from kindergarten to eighth grade. “I really couldn’t be more pleased about how the camp went I think just on so many levels. The kids were great, we had absolutely no behavior issues, so that’s a treat. The kids improved a lot. I think they were very attentive and focused,” said Reed. Serving as assistants, Reed was flanked by a team of volunteers who were working to make sure all participants had the appropriate amount of guidance they needed. Oftentimes, the youngest campers would have one-on-one support from a volunteer as the older students, overseen by Reed, would be working on skills or playing various games. 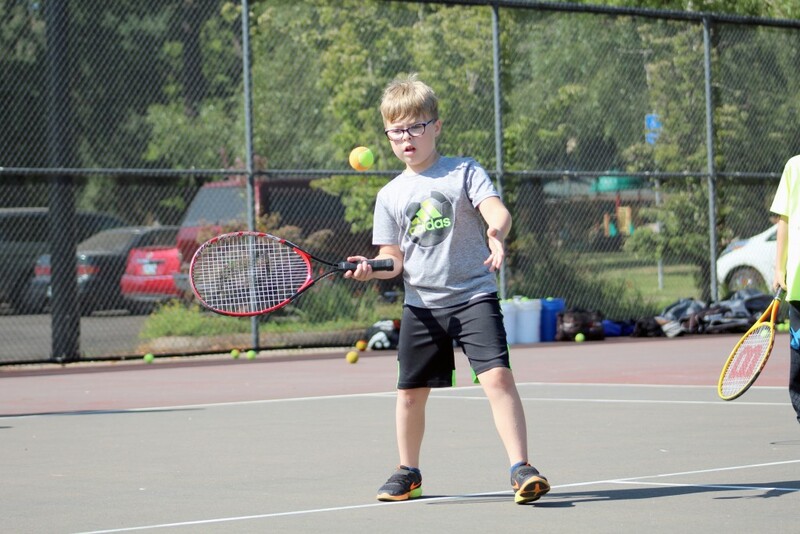 While Reed works with tennis players in Cottage Grove on Saturday mornings and has this camp, the ultimate goal from his perspective is to continue to grow the sport to where it will be played at the high school level. “Fortunately or unfortunately, I coach at Springfield so right now I don’t have the time or the ability to (help coach this program). But I’m hoping to facilitate that. So we’ll sort of see. It’s largely at this point up to the community as to how much time and effort they want to put in,” he said.